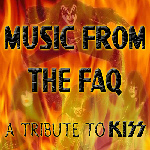 Music From The Faq contains 23 tracks of creative and unique self-produced KISS covers spanning all different eras of the band. 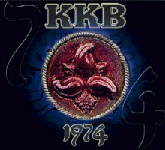 While the songs were not produced with the benefit of a big-budget recording studio, the creativity, quality of the material and unique performances shine nonetheless. Response from the KissFaq community has been extremely supportive — we can sincerely say this is one of the most original and best KISS compilations we have ever heard! 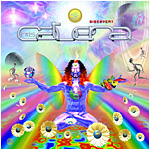 With participants having retreated to their respective home studios to polish their tracks, the compilation was completed and assembled on May 5th 2008. Work on Volume II of "Music from the FAQ" has already commenced, the release date is set for August 1st this year. The legendary KISS are back on the road and this time Concert Live are going with them! KISS live performances are renowned across the globe so it’s with great pleasure and excitement that we're announcing the KISS Alive 35 limited edition series of live CDs. exhilarating few weeks with many a memorable performance captured forever. With hits such as ‘I Was Made For Lovin' You', ‘Detroit Rock City’ and ‘Rock & Roll All Nite’ echoing above the streets of Europe you will know that KISS are in town so be sure to get your live tour CD to relive the KISS experience over and over again! This series is strictly limited edition so be sure to bag yours before they go! 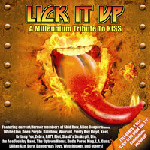 CLICK HERE to order KISS LIVE CDS. Frontiers Records is excited to announce the release of Silent Rage's highly anticipated fourth studio album Four Letter Word on July 4. 'Four Letter Word' is another fine example in the tradition of the band's classic production. “We had a great time staying within the natural progression of our 1989 release "Don't Touch Me There" & mixing in the sounds of modern hard rock” continues Damon, “all of the tracks, whether lighthearted or serious in nature, have deep meaning to the band members. There's no hidden agenda, just melodic-hard-rock with contemporary production, written from the heart & soul of four veteran rockers”. 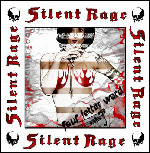 Silent Rage's new album was produced by former Guns'n'Roses guitarist Gilby Clarke who is also credited on the album for his contribution on guitar, keyboards and percussion. Another very special guest is Ratt's Bobby Blotzer on drums and former KISS guitarist Bruce Kulick, who plays a guest solo on “Man or Machine”. “We met Bruce while working with Gene Simmons on the "Don't Touch Me There" CD” explains Damon, “Bruce co-wrote one of the songs for that disc. Kulick has always been in our circle of friends & a supporter of Silent Rage. We always admired his guitar virtuosity plus, he's a great guy. Knowing he lived nearby our recording studio, we had to ask him to do a jam on the CD. We thought it fitting to have him perform on "Man or Machine" since originally, that song was an idea that Gene Simmons & I started a few years back”. Founding Trixter guitarist Steve Brown has been added to the roster of the upcoming tribute album "KISS MY ANKH: A Tribute To Vinnie Vincent." In an oddly appropriate twist of phrase, the man known for the #1 Dial MTV hit "One In A Million" will tackle the underground Kiss favorite "A Million To One." Steve's contribution will be an elaborate acoustic rendition of the song, putting a fresh new spin on the 25-year-old classic. A 30-second sample of the song is now available at the SplitScreen Entertainment website. Original KISS guitarist Ace Frehley has told Steve Palisin of MyrtleBeachOnline.com that he's shooting for 12 tracks on his next album, his first in 18 years, with a release in early summer. Studio work has spanned more than 6 months, and some of the songs go back 12 years. Regarding the direction of the new material, Frehley recently told Pittsburgh Post-Gazette, "The stuff sounds real good, but everyone's been waiting for this record and I'm just trying to make it better. There are like two more tracks I want to cut, just to round things off." 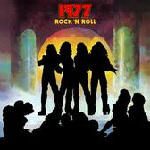 Frehley said his biggest inspiration and his template for the new record is his 1978 debut. "It's probably more like the first record than anything else," he said. 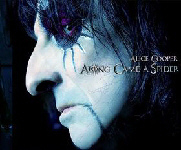 "Most people cite that as the best Ace Frehley record and I've been listening to it and trying to figure out why. I'm trying to recapture some of that. I want this record to be extra special." Frehley is currently on the road fronting a band that features second guitarist Derek Hawkins, drummer Scot Coogan (ex-BRIDES OF DESTRUCTION) and bassist Anthony Esposito (ex-LYNCH MOB). While they all contribute with vocals, most of the burden is on Frehley, who historically has been shy at the mike. "To me, singing is a necessary evil," he said. "I consider myself a guitar player and a songwriter, and because I write these songs I gotta sing them. I remember last year when I was thinking about putting the band together, some people were saying, 'Ace, you should get a powerhouse frontman.' But a lot of these songs I've been singing for years, either solo or with KISS. What's this front guy going to do when I'm singing lead? Play a tambourine," he said, cracking up. "There are some good bands out there, but some of the screaming stuff lacks melody. I mean, if I have to choose between the two, I'll take something where I can pick out the melody — something where when you walk away from it, you can hum, something that will recirculate in your brain. Some of the best guitar solos are the slower ones. You can't really hum something when you're playing 3 million notes per second." "I listen to a lot of the old stuff I used to listen to — HENDRIX, ZEPPELIN, THE WHO, CREAM, JEFF BECK — the stuff I grew up on. It still works today, whereas a lot of music when you play it today it really sounds really dated. A lot of the groups that influenced me, they still sound good." 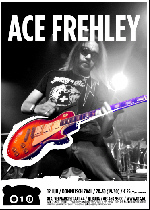 Read the entire interview with Ace Frehley at MyrtleBeachOnline.com. The year-long KISS special article with interviews with a KISS-related figure continues. Rockpages.gr recently published interviews with Bob Gruen (KISS’ photographer in the 70s) and Jason Ebs (Vocals/Guitar for CRISS in 1995). Read the interview with Bob Gruen (KISS’ photographer in the 70s) at Rockpages.gr. 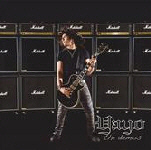 Read the interview with Jason Ebs (Vocals/Guitar for CRISS in 1995) at Rockpages.gr.